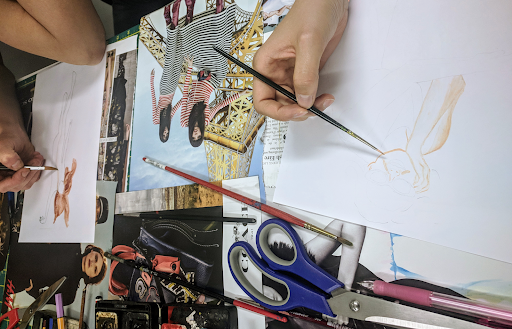 In our 4 sessions class, you can improve your drawing and textile design skills. If you are a fresh starter, you can have a hands-on look at this particular design process for textiles and prepare your pieces. If you have achieved some knowledge on any topic, we can help you personally progress towards the next level.